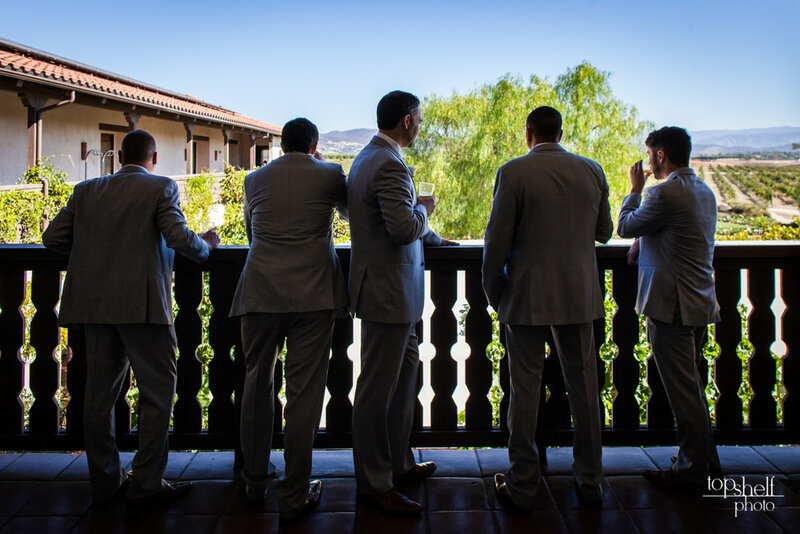 Over the past few years, Top Shelf Photo has been photographing many weddings in the Temecula wine country, many which offer gorgeous wedding venues. 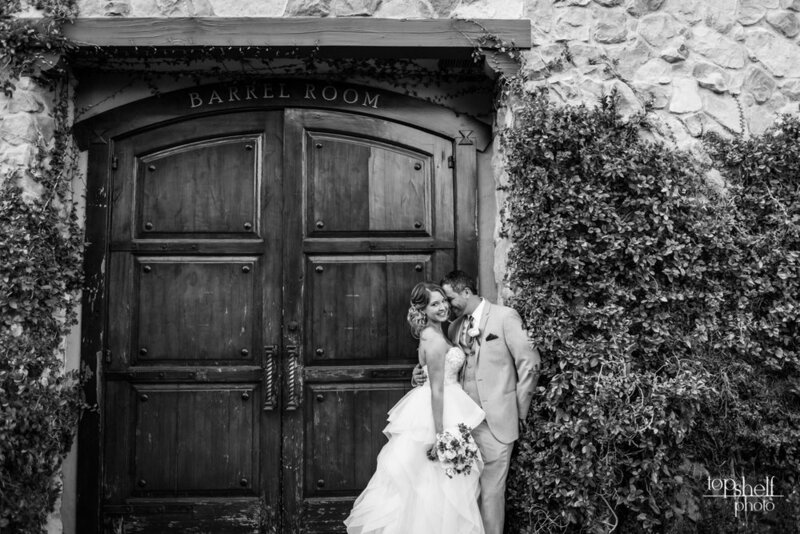 Last fall, I had the good fortune of photographing a wedding at Ponte Winery. 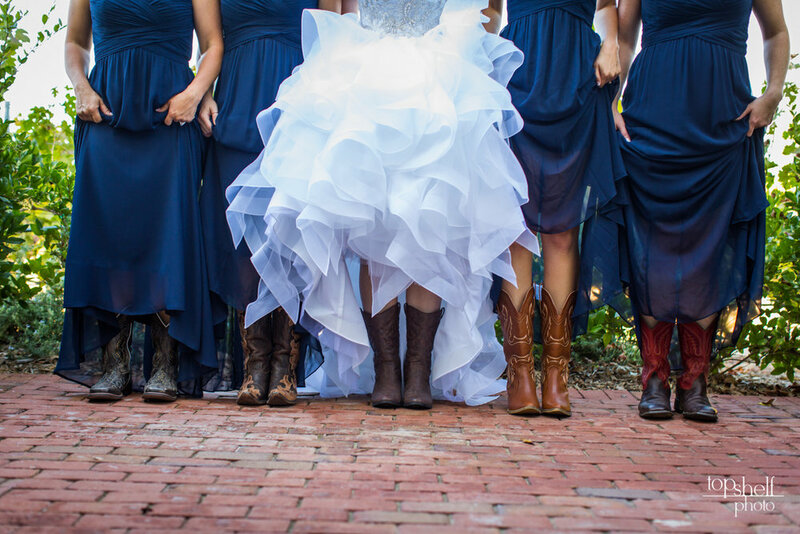 It's hard to beat a fall wedding in a vineyard. The leaves were beginning to turn orange and yellow. The weather was perfect, and everyone was ready for a party! 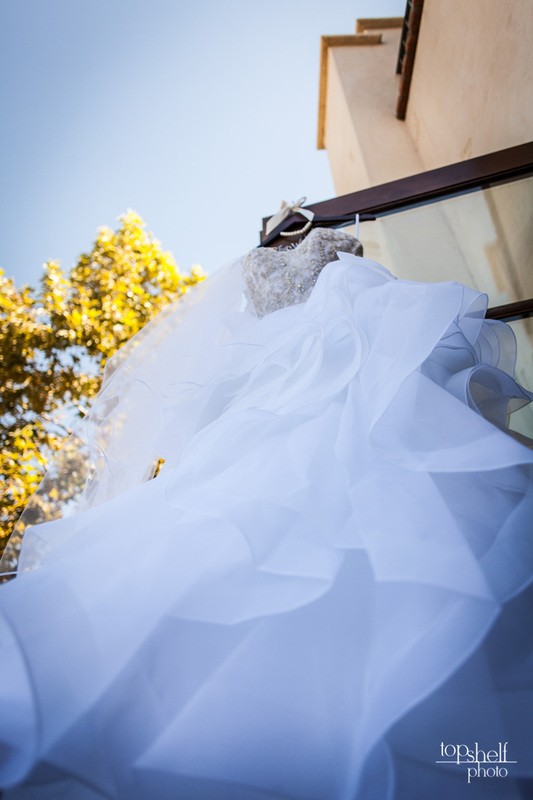 The bride and groom suites had their own private balconies and patios. The bridal suite was right next to the vineyards. You could pick grapes right from the patio! It was a perfect backdrop for detail and prep photos. The wedding ceremony site was next to a pond, overlooking the vineyards and mountains. 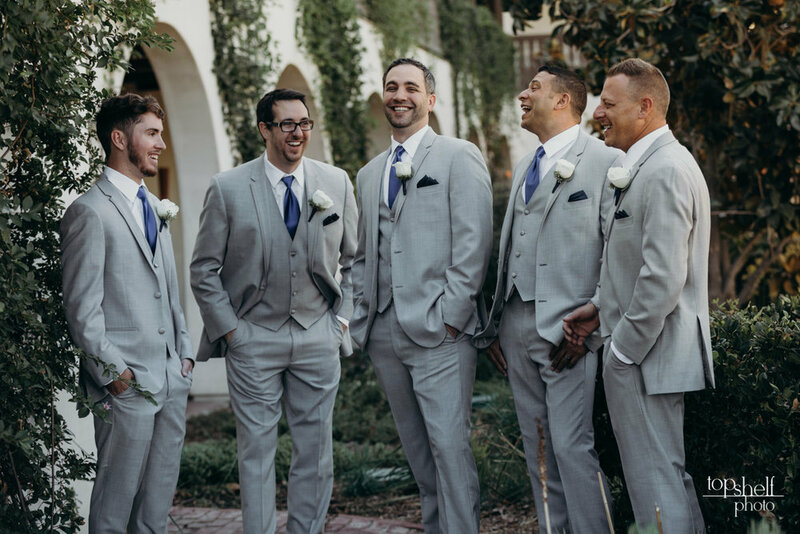 Brian and Aubrie decided to wait to see each other until the ceremony started, which resulted in many smiles and tears of joy as Aubrie walked down the aisle. 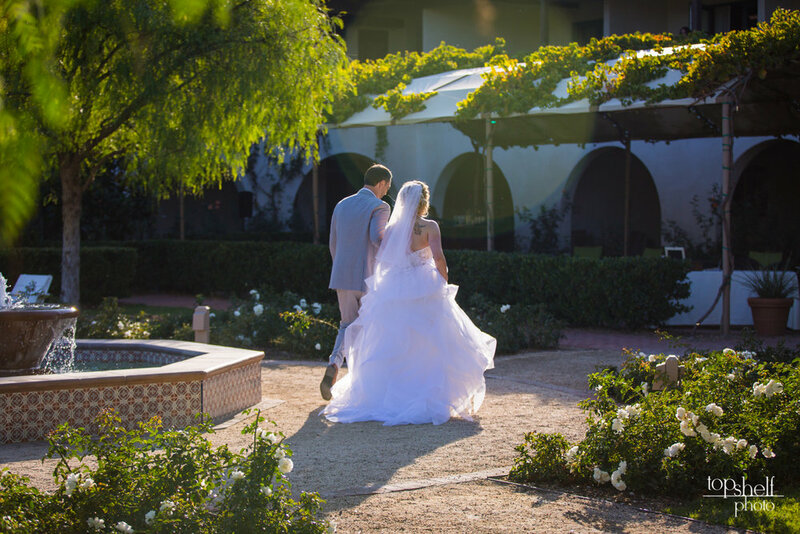 After the "I do's", I spent some time photographing the couple around the courtyard and in the vineyards. 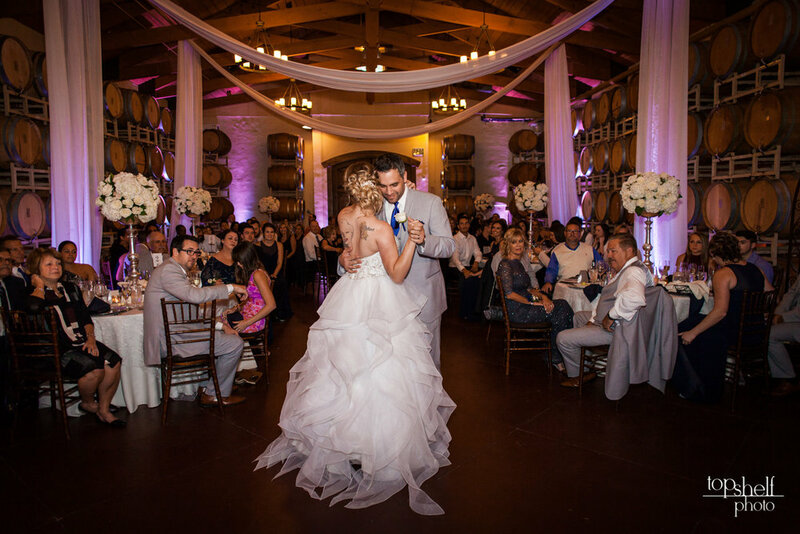 The reception was held in the "Barrel Room", which offered a unique backdrop for the toasts, dinner and dances. A big "thank you" to Brian & Aubrey for hiring Top Shelf Photo. 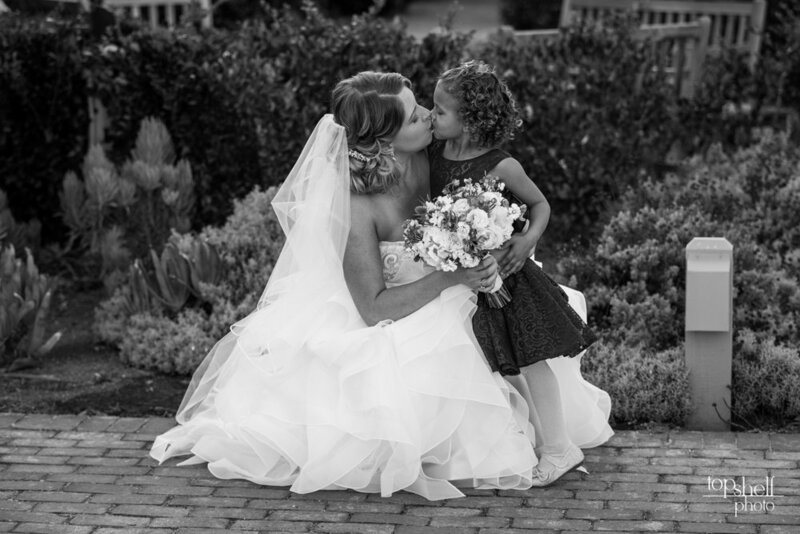 I am very thankful for the opportunity to capture your special day. Best wishes to you both.